The recent Helsinki Summit, held between Russia and the United States, was in many ways an historic and scandalous event. Since coming into power the Trump administration has been reorienting the United States’ foreign policy, pivoting away from its traditional allies and adopting an oddly ‘Russophilic’ attitude. While this may not yet be strongly reflected in America’s formal policies, language sets the stage for later action, and the rest of the world has been watching attentively. European states in particular have been anxiously calculating how the United States’ actions might affect their own affairs. While the Helsinki Summit was ultimately just a continuation of this geopolitical trend, three particular aspects of it were notable. Firstly, the summit included a two-hour closed-door meeting between Trump and Putin. As of yet, we don’t know what was discussed. Secondly, the summit concluded with a joint press conference in which Trump, when pressed on whether Russia engaged in election meddling, seemed to side with Putin over American intelligence agencies. Thirdly, Trump’s language throughout the summit was fawning and at times almost obsequious. This sharply contrasted with the bellicose rhetoric he used towards European allies during the NATO summit in Brussels that immediately preceded Helsinki. Collectively these three factors seemed to epitomize and crystallize Trumpian-Russophilia. What consequences can we expect from this shift? An American pivot to Russia means European instability. Why? In many ways, Europe still relies on American might for its security, and the primary deterrence against attacking most European states is the existence of NATO. An attack upon one member state is an attack upon all. The problem, however, is that the bulk of NATO’s strength comes from American participation. 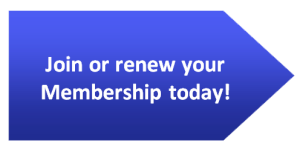 Organizationally, NATO has an independent budget through which it funds the coordination of its member states. American capital is not overrepresented there. However, the true strength of NATO is not in the coordinating structure that exists above its constituent militaries, but rather the militaries themselves. Looking at the defence budget of each nation, there’s a clear over-reliance on American might. America, while constituting less than 50% of the Alliance’s GDP, accounts for 67% of its defence spending. European nations, being generally less militaristic, have failed to adequately invest into their own protection. In 2014, NATO’s members collectively pledged to spend at least 2% of their GDP on defence. By the end of 2018, only seven European nations are expected to do so, and, of them, the majority are second-tier powers. Helsinki needs to be understood in the context of other recent events, most notably the aforementioned NATO summit in Brussels. Trump’s language there, in which he called other NATO members “delinquent” and paradoxically called Germany a “captive of Russia”, demonstrated a lack of respect, if not disdain, for the alliance. These rhetorical attacks on traditional allies were not unprecedented. Trump’s behaviour during a 2017 G7 meeting had prompted German Chancellor Angela Merkel to state that Europe could not completely rely on America anymore. Prior to Helsinki, it could be argued that this vitriol was merely an intrinsic and uncontrollable trait of Trump. Within such a view, Trump’s aggression towards American allies could be understood as a product of his undiplomatic personality more so than a personal attack on them. However, Helsinki demonstrated that Trump isn’t always this way. His admiration and borderline servility towards Putin suggested that his prior attacks on NATO leaders, such as Angela Merkel and Justin Trudeau, were personal to NATO specifically, rather than a blanket hostility to all foreign leaders. While Trump’s previous rhetoric had already hinted as much, Helsinki demonstrated this point more evocatively than had ever been done before. This worries Europe because its interests are fundamentally opposed to Russia’s, not only from a security standpoint, but also from a clash of cultural, social, and political values. This mutual hostility is not a new phenomenon. Memories of Soviet imperialism still inform Eastern European statecraft. 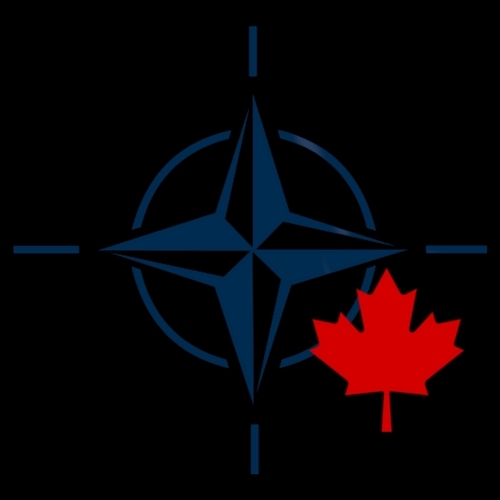 NATO, whatever its present utility, is ultimately a relic of, and testament to, the fear of Russian occupation. Given the rivalry between Russia and Europe, a pivot towards one is necessarily a pivot away from the other, though Trump’s behaviour raises concerns that a European ally may not only cease to be an ally, but could even become an adversary. Should America waver on its commitments to NATO, Europe will need to fundamentally reimagine its attitude towards its own security. At the most basic level, this means a significant increase in defence spending. Money doesn’t come from the ether, so tough questions will need to be answered about what funds will be diverted towards this end. It is probable that this will cause tension within individual states, with the magnitude of that tension being influenced by a number of factors, including, but not limited to, national debt levels and cultural commitments to welfare programs. These individuating factors will make it hard to create a coordinated increase in defence spending. Some countries may feel forced to move more quickly than they’d like. However, a coordinated increase is necessary. Unequal increases in defence investment may create the perception that some European countries are being taken advantage of, much like how the United States feels taken advantage of today. Given this challenge, it seems likely that the specifics of militarization will leave some countries unhappy and strain inter-European relations. Beyond that, there’s the question of what military structure would be most appropriate for European defence. European nations may be wary of long-term investments into the NATO framework if they expect American unreliability. The European Union could provide an alternative military framework, meaning the creation a European, not NATO, army. France is already pushing towards this end, with mixed results. The underlying problem of this solution is that, as it exists today, the EU is a dysfunctional entity that struggles to keep even itself together. Coordinating a joint military may be beyond the capacities of its current structure. There has always been skepticism on the utility of the EU, and a fear of tyrannical ‘Eurocrats’ subverting the democratic will of member states. The recent wave of nationalist populism has only exacerbated this. Increasing the EU’s powers, as would happen with a robust European Army, could be politically tricky given the influence of Euroskeptics. This considered, Helsinki may force European leaders to not only re-evaluate the utility of NATO, but the European Union itself. This may mean that Europe will simultaneously have to contend with a shift in both its political and military paradigms, a process that is inherently destabilizing. Under the current trends Europe does not know how much responsibility it will need to assume for its own defence, what internal fissures would be inflamed by increased military spending, and what institutions would need to be abandoned or transformed. The continent is not in an enviable situation. Helsinki is a humiliating reminder to European leaders that these problems will eventually have to be addressed, barring some dramatic change in Washington. Helsinki may eventually be remembered as a landmark in European disintegration, as a junior companion to larger fiascos such as Brexit. If the EU is able to adapt and reform itself, it may also be remembered as the beginning of a stronger, fully solidified Europe. From the beginning, the Helsinki summit was criticized as a concession to Putin. It was argued that, regardless of what was negotiated, the United States had weakened its position to the benefit of Russia. The reasoning behind this is that the Helsinki summit would allow, and did allow, Putin to portray himself as being equal to Trump. That, in turn, would symbolically legitimize Russia as a power on par with the United States. Some circles were also concerned that Putin would not only be able to position himself as Trump’s equal-in-power, but that he would go beyond that and present Russian leadership as being more rational, reliable, and stable than its American counterpart. Putin has had over a decade of experience conducting himself as a statesman. Trump, while long in the public eye, has only recently been expected to conduct himself with the kind of dignity and leadership required of a national leader, and has manifestly failed to meet this expectation. 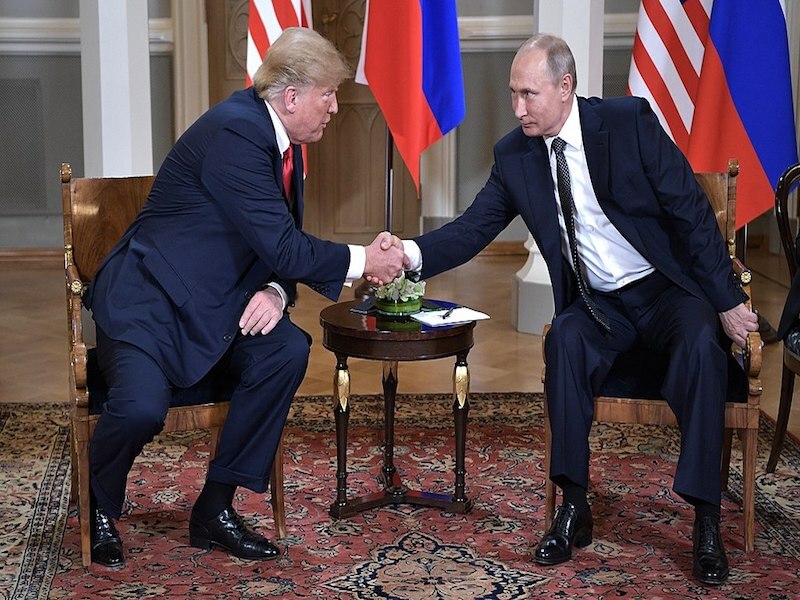 While numerous interpretations of the Helsinki summit exist, a non-trivial number of observers believe that Putin succeeded in positioning himself as equal or senior to an American president. It should be clarified that Russia is not America’s equal; though as the inheritor of the USSR’s nuclear arsenal, it is still militarily a global powerbroker. To call it a regional power, as some have done, would be inaccurate. Even so, its strength is a pale shadow of America’s. Power goes beyond military might. Russia’s economy is underwhelming, with a GDP on par with Canada’s and an unhealthy reliance on oil and gas exports. This limits its capacity to influence other nations. In peacetime, Russia’s power mostly lies in the capacity to turn off Europe’s gas lines, interfere with the cyber infrastructure of its enemies, and conduct large misinformation campaigns. The days of true Russian hegemony died in the 1980s. Masking this weakness is essential for both Russia’s domestic and international security. Domestically, Putin perceives a strong state, with himself as its axis, as being essential to the nation’s well-being. This need for order and stability is rooted in the particularly traumatic way that the USSR collapsed. Russia not only suffered from the humiliation of losing an empire, but also endured a decade of abject poverty. The privatization and capitalist reforms of the 1990s, though well intentioned, allowed government officials to steal fat slices of the nation’s assets and wealth. Proto-capitalism devolved into kleptocracy and oligarchy. It was in this context that Putin rose to power, and it was his restoration of Russian stability and dignity that allowed him to remain in power, despite his whittling away of political and media freedoms. While almost all politicians have their fortunes staked in the well being of their people, Putin is vulnerable to an unusual degree. He must, by any means, fulfill the promise of a strong Russia. His political existence is predicated on the fulfillment of that promise. This is why the Helsinki Summit is so beneficial to Putin. It gives proof of his political success, even if the mirage of Russian pre-eminence is just that, a mirage. The need for this proof is ongoing, as Putin’s hold on power is not total, and at times has even been weak. It was only in 2011-2012 that Russia boiled over with pro-democracy protests. Though those protests eventually failed, Putin never forgot them, nor has he forgotten the Eastern European revolutions that deposed his proto-dictatorial contemporaries. The need for symbolic power has only increased as the material conditions of Russia have deteriorated. Depressed oil prices, coupled with Western sanctions, almost halved Russia’s GDP from 2013 to 2016. The opposition, while enfeebled, still exists and could, if given breathing space, pose a threat to Putin’s regime. The Russian state may dominate the press and brutalize dissidents, but, as autocracies go, its internal oppression is child’s play. Unless he develops Soviet-style systems of social control, or improbably transforms Russia into a wealthy, economically diversified state, Putin will never lose the impetus to posture. As mentioned above, Putin’s legitimization also has international, as well as domestic, dividends. This is something that is particularly important in two areas — the Middle East, and Russia’s global battle against Western values. With respect to the Middle East, America’s slow withdrawal from the region has left a vacuum of influence that Russia has been skillfully exploiting. Through its interjection into the Syrian crisis, Russia has swiftly established itself as a power broker in the region, displacing America as the host and patron of Middle Eastern peace conferences. With respect to global values, Russia has pushed for a world defined by conservative values, machismo, and nationalism. It contrasts itself with the West, which it portrays as deteriorating, morally corrupt, and effeminate. The Helsinki summit is a boon to Russia for these two projects. With respect to the Middle East, it allows Putin to frame his initiatives as the displacement of one global hegemon with another, rather than a regional power filling a gap in influence. Russia’s actions thereby become a success of leadership, not opportunism. As for the global clash of values, Putin’s strong, focused performance at Helsinki was a poignant metaphor for the success of his team. This may seem trivial to some, but optics matter much more than we’d like.